Curious about the construction happening in Petworth? Here’s a rendering of the forthcoming mixed-use development just one block north of the Petworth Metro. The upper floors will house a 218-apartment complex from Bozzuto, which will include a concierge, gym, and rooftop terrace. Apartments come in studio, 1-bedroom, and 2-bedroom. 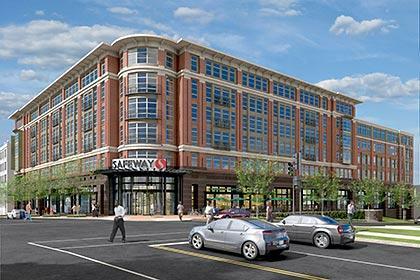 The ground-level retail will be anchored by a newly renovated, 64,000-square-foot Safeway. Yup, 64,000. The Petworth Safeway closed up shop in fall of 2012 so that construction could commence; the entire development is slated to open early this summer. Find out more at the Bozzuto site for The Swift. Needless to say, this development will definitely help speed this neighborhood along its upward climb. Click here to see listings in the the Petworth area, or shoot me an email if you want to learn more about the area and what it has to offer to homeowners! Ok that might be a little dramatic, but I really am very unhappy about this bit of news. Apparently, the historical preservation board has given the green light for a 69-unit luxury condo building to replace the beautiful vacant brownstones on N Street just south of Dupont Circle. The renderings make me want to cry. Supposedly, the original buildings will be kept and a new one added – but I don’t sHere’s the full story – with “before” pictures and renderings – from Curbed. 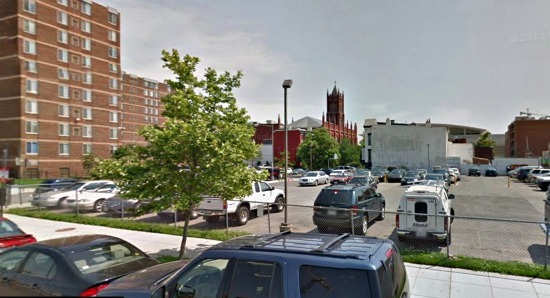 It’s official, the vacant N Street rowhouses south of Dupont Circle will become luxury condos. The four and five story homes that had once been tapped for a hotel just got the approval for conversion into N Street Condominiums from the Historic Preservation Review Board. The existing buildings (which will have a courtyard in between) will house thirty one condos and a new building will house an additional thirty-eight. The idea for a boutique hotel called the N Street Follies in that location had long been scrapped, at least in part because Dupont residents feared a hotel would negatively affect the nearby Tabard Inn (an essential D.C. landmark). Look for construction to start this summer and finish by late 2015. Pricing for these condos is still pretty far away, but the smallest one bedroom units will be 650 square feet and the largest two bedroom condos will be 1720 square feet. Plus, with renovated historic properties, you know there will be cool details like exposed 19th century brick and fireplaces.